Catering for allergies and food intolerance is the new normal; you simply have to offer FREE-FROM options. We have been making gluten free bread and cake for over 20 years and because we are also a nut free and sesame seed free bakery you can cater for a wider audience. Just really nice burger buns. Thaw in the microwave. With millet flake rather than seasme seed on top you cater for sesame allergy too. Ideal product to make your own signature hot sandwich on your panini grill. Ideal for ciabatta style garlic bread too. Dusted with rice cones. 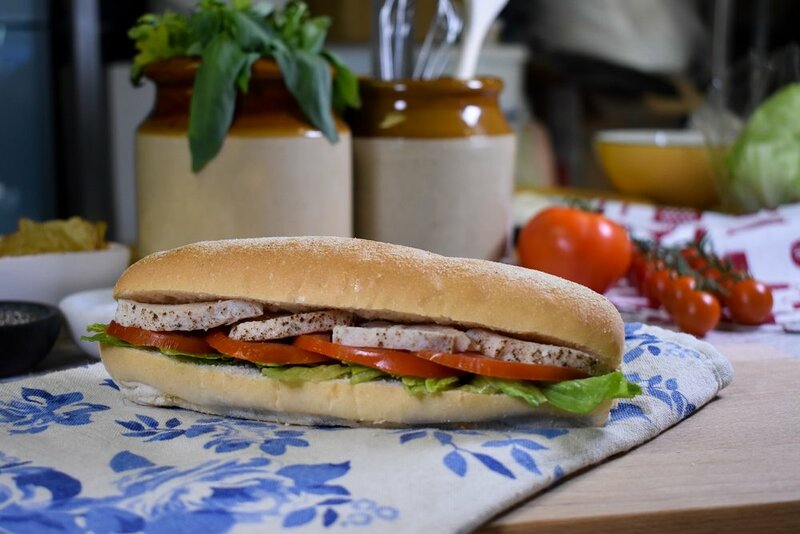 Just a few minutes in a hot oven will give you a delicious crusty roll for great quality gluten free sandwiches. Your guests with gluten intolerance will really appreciate something as simple as a tasty slice of toast for breakfast. Simply thaw using your microwave and serve warm. with butter and cream. Imagine serving gluten free scones that are nicer than ordinary scones. We test our gluten free products every day and send samples periodically to an independent laboratory to test the tests. Made in a BRC approved bakery. The WELLFOODS® trademark is owned by Fosters Bakery (Staincross) Limited. In our company "Wellfoods" means it's gluten free. Our gluten free products are named after the village where our bakeries are located: Mapplewell. (Psssst, the village name comes from the maple tree next to the village well on Towngate).